Mary and The Witch’s Flower, a new GKIDS release here in the States and the first film from Studio Ponoc, is a family-friendly magical experience that’s the perfect way to start your movie-going adventures this year. Our own Haleigh Foutch called it enchanting, charming, and “an utterly bewitching delight” in her review, and it’s been featured in our own Collider Kids segment and our list of the most-anticipated movies of 2018. 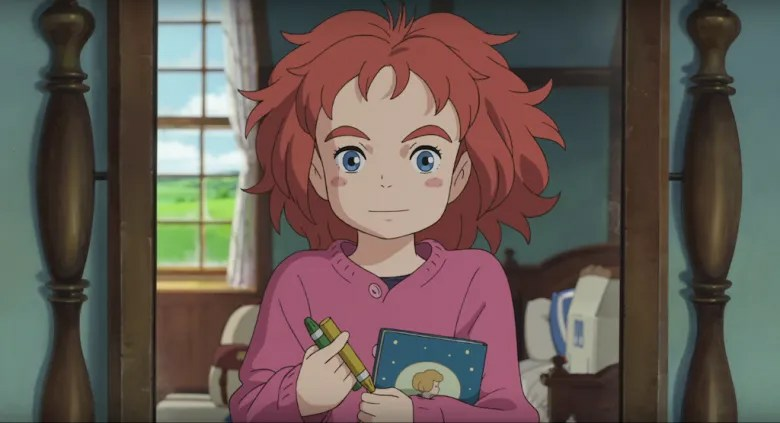 But if you need a little more to go on before committing to see the new release, you’re in luck, because we’ve put together the seven most magical, animated moves to see before checking out Mary and The Witch’s Flower. Why 7? Well, it’s a pretty lucky number to begin with, and it just feels right as a selection of films that encompass the fun, variety, and amount of magic on display in director Hiromasa Yonebayashi‘s adaptation of Mary Stewart‘s children’s story, “The Little Broomstick.” Don’t worry, they’re not all Studio Ghibli movies, though a selection of animated tales from that acclaimed studio certainly appear. You’ll also find a Pixar favorite, some Disney magic, a stop-motion classic, contemporary anime, and even a little bit of early 90s pro-environmental nostalgia for your viewing pleasure. Now there are a lot of elements in Mary and The Witch’s Flower that pop up in all sorts of animated TV shows and movies–I like to think both Mary and the title protagonist of Studio Ghibli’s animated series Ronja the Robber’s Daughter would get along swimmingly–but this list was specifically narrowed down to get as close to the heart, tone, and style of the GKIDS’ release as possible.